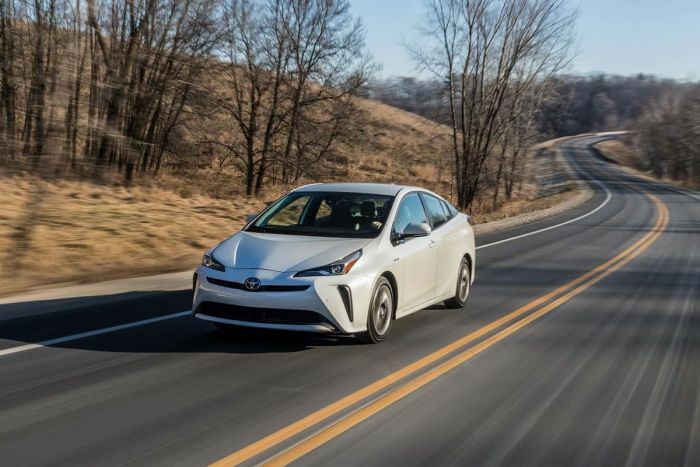 A respectable enthusiast magazine discovers that the Prius is quicker than it may seem. Toyota Prius owners endure their fair share of ribbing for driving such a "low-performance" vehicle. But is the Prius really out of the mainstream for performance? Not by a long shot. Motor Trend is just the latest to prove what many Prius owners already know - the car is just like any other normal car. Particularly on a twisty figure 8 race track. Motor Trend uses a figure 8 in order to sort the wheat from the chaff. as Motor Tren puts it, "Sometimes called a "race rack in a bottle," it's the best way to objectively measure how different cars accelerate, brake, and corner on their limits in a tidy, repeatable way." Typically, cars with sticky tires, a low center of gravity, big brakes and a powerful engine do best on this course. The Prius has exactly none of those things. So why did it just beat a Jaguar, a Mercedes, a BMW, and a bunch of other cars that have "sport" and "GT" in their name? So, just to recap, the Prius spanks a whole long list of brands that pride themselves on making sporty, great handling cars and crossovers. Like the "Ultimate Driving Machine." And the specially tuned AMG and Nismo models. And the up-powered turbos from Mazda and Kia. All losers in this race. WIth a 121 hp Prius. Note that my friend Collin Woodard's story is not dated April 1st, so we will assume his work is not a joke and is completely serious. Just like the Prius when it is beating the pants off "sporty" vehicles. The 2019 Prius is now available with all-wheel drive. A multi-year IIHS Top Safety Pick, the Prius is one of the safest green cars in America. Oh, and it gets a 52 MPG rating and has a lower cost per mile for energy than many battery-electric vehicles. I used to drive a Prius at work. I own a 124 Spider. This test was either rigged or the driver's were on drugs. I don't believe it for a second. I just looked this up - the 124 Spider did a 25.80 on the motortrend figure 8. Have You Seen The Sting / Shaggy Video Featuring Fiat's 124 Spider? Has Tesla Scared Fiat Into Building Electric Cars?